One of my areas of interest in personal development is the concept of identity. I’ve written about it before, and the topic never gets old to me. This is the latest book from Domino, and one I read many months ago when I first moved to New York. It’s a special book to Seth and I hope you’ll check it out. 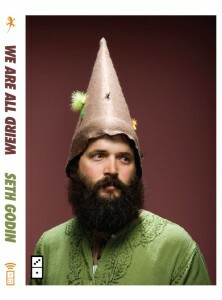 To promote the book, Seth is hosting a live teleconference on Monday, October 3rd. He’ll be answering your questions about the book and sharing some of his priceless riffs as well. Details over on his blog.